This book is an ideal general management tool for innovation managers, especially those in the high-tech industry, who are considering outsourcing part of their development. 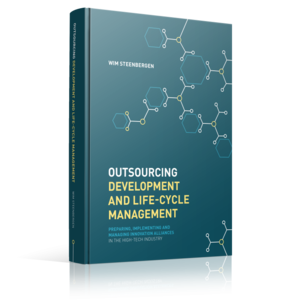 Outsourcing Development and Life-Cycle Management is a practical guide for OEMs and suppliers. Wim Steenbergen explains how to manage this complex relationship from the first development project right through to its full implementation. Steenbergen introduces the subjects and terminology relevant for this type of cooperation in a way that all involved disciplines will understand it, including product management, development, operations, service, sales, purchasing, and legal. The book presents a step-by-step plan to implement and manage the cooperation, with many practical tools and real-life examples. This book’s in-depth, multidisciplinary approach makes it an ideal general management tool for innovation managers, especially those in the high-tech industry, who are considering outsourcing part of their development. After a career at international companies like AT&T, Ericsson and Philips, Wim Steenbergen assisted suppliers in the high-tech region of Eindhoven for the last five years. He translated his experience in outsourcing development in the book Outsourcing Development and Life-Cycle Management.